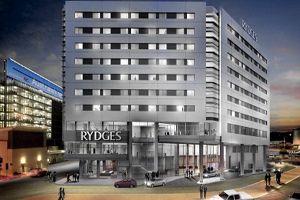 A four-star hotel operated by Rydges is schedule to open at Sydney Airport later this year. The 317-roomhotel will add to the new international precinct at the airport, which includes an expansion of the number of restaurants, bars and conference facilities. The property will also have a bar, restaurant and gym and will be located behind the car park at the international terminal.